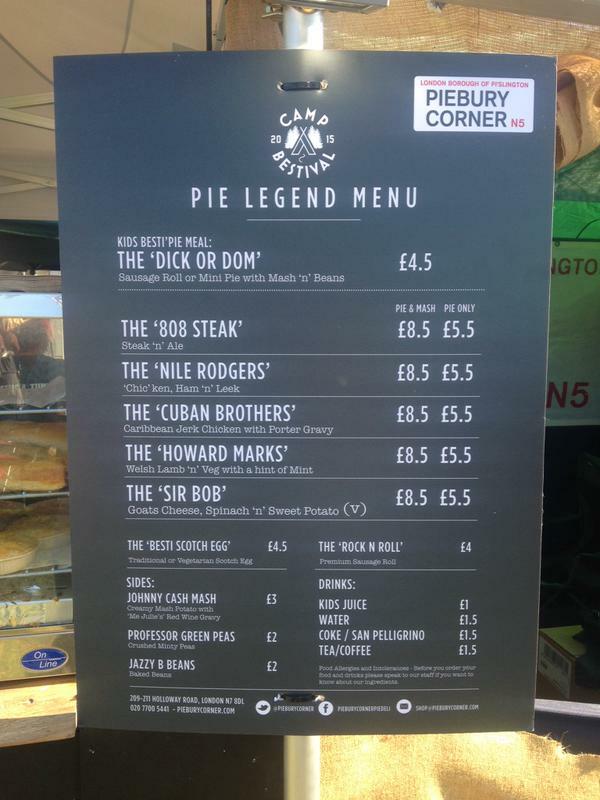 PIEBURY CORNER – It all started as a bit of fun…..
Piebury Corner began in 2011 as a food stall in Paul and Nicky Campbell’s front garden in Highbury N5, selling hand made gourmet pies to Arsenal fans on route to the Emirates Stadium. 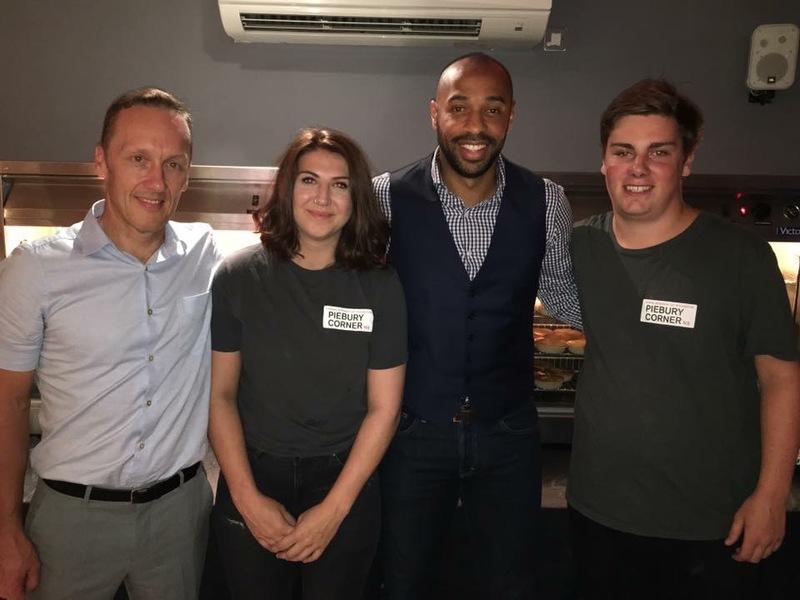 Our fun and quirky guerrilla marketing soon drew the attention of even the most ardent football fans and the stall soon became a match day ritual for many. 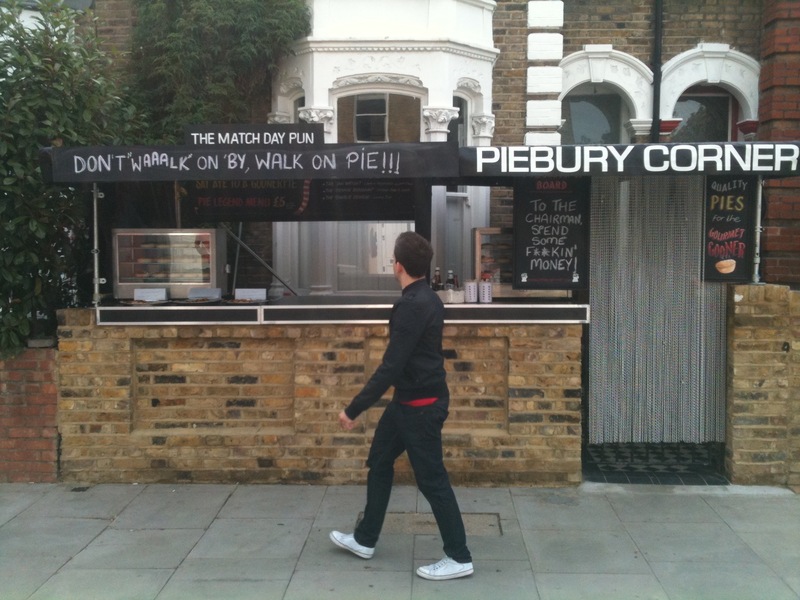 Following the success of the stall, in 2012 we opened Piebury Corner – The Pie Deli, a 30-seat Licensed Café in Holloway N7, which coincidently had originally been a Pie & Mash Shop before the first World War up until 1984. 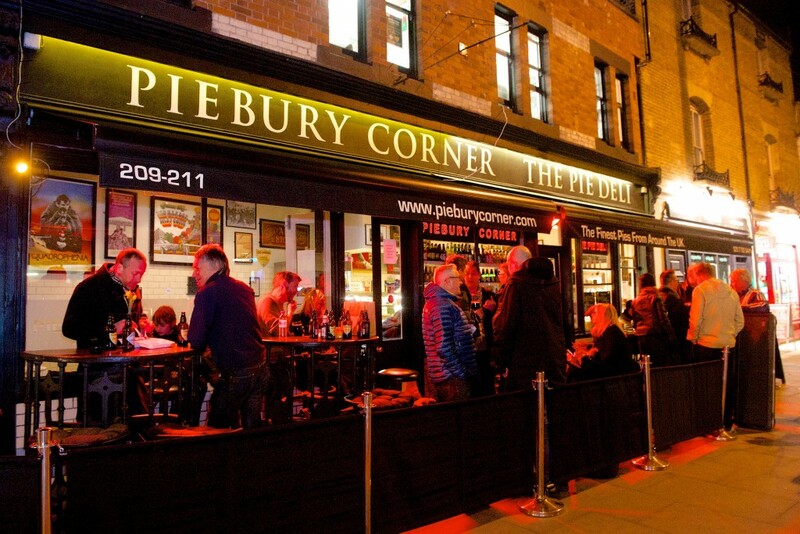 The well designed shop fit-out, historic turnstile tables and eclectic music playlist soon attracted a non-football clientele, whilst the quality of the pies and beers spoke for themselves. 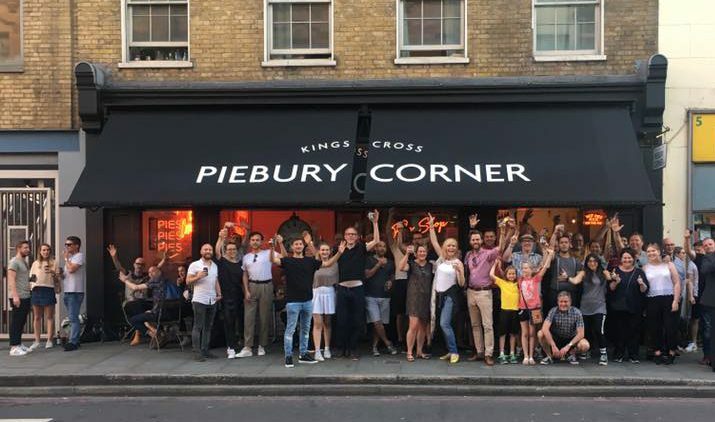 In June 2017 we opened Piebury Corner Kings Cross, A fully licensed, air-conditioned Casual Dining restaurant serving up Hand Made Pies, Scotch Eggs, Craft Beers and Cocktails. 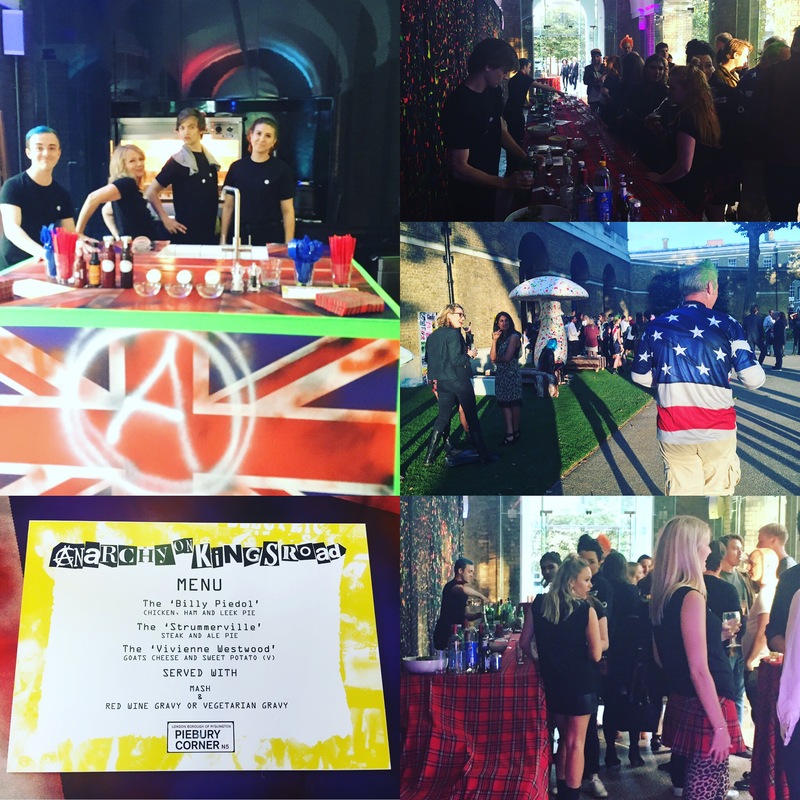 We’re also known as much for events as award winning pies, having successfully held art exhibitions, book and album launches, weddings, private parties, corporate and charity events. 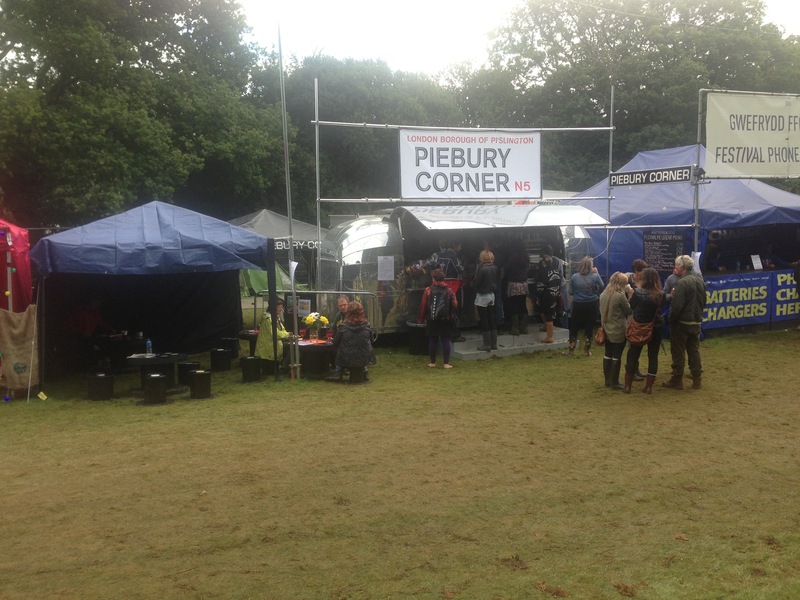 From time to time you may also also find us at music festivals across the country so keep an eye on the website for the latest news and event information.